Make this event a world class performance. 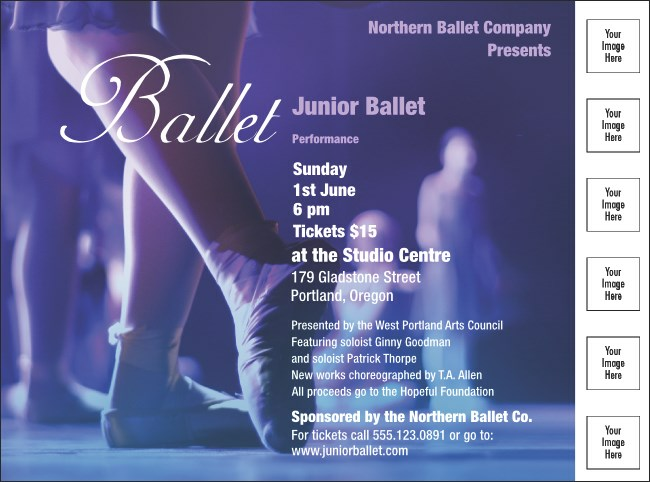 Start by generating interest with the Ballet Flyer. Printed in beautiful blues and purples, this flyer features the photorealistic image of a dancing ballerina. With space for five custom images on the template, you can share logos and performer photos with potential attendees. Customize your flyer with TicketPrinting.com. Just fill out the template below.